Incorporate a touch of stylish aesthetic with the MS International Onyx Noche 12 in. x 12 in. Porcelain Floor and Wall Tile. 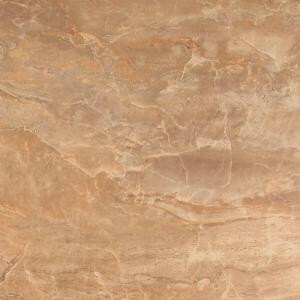 The tile combines a glazed top with a medium sheen and handsome tan tones in a luxurious stone look to create a perfect ambience for a variety of decorative schemes. This rectified-edged tile is constructed from durable porcelain material and has a matte finish to provide a contemporary decor option. The tile features an impervious water absorption rating that is suitable for installation on walls, floors and countertops. Use matching trim tile or a combination of field tile for the design that best suits your space and preferences. 15 square feet, 15 pieces per case. Case weight is 55.8 lbs. Buy online MS International Onyx Noche 12 in. x 12 in. Glazed Porcelain Floor and Wall Tile (15 sq. ft. / case) NONYXNOCHE1212, leave review and share Your friends.